The black Vizion Spartan Series MVBFEE2418-01 Classroom Media Projector Cart from Marvel is designed to support your presentations with ample work surfaces and storage options for equipment. It includes one pull-out side shelf that extends fully on ball bearing slides for ease of use. The top shelf features a 1/4" retaining lip that prevents equipment and supplies from sliding off during transport. 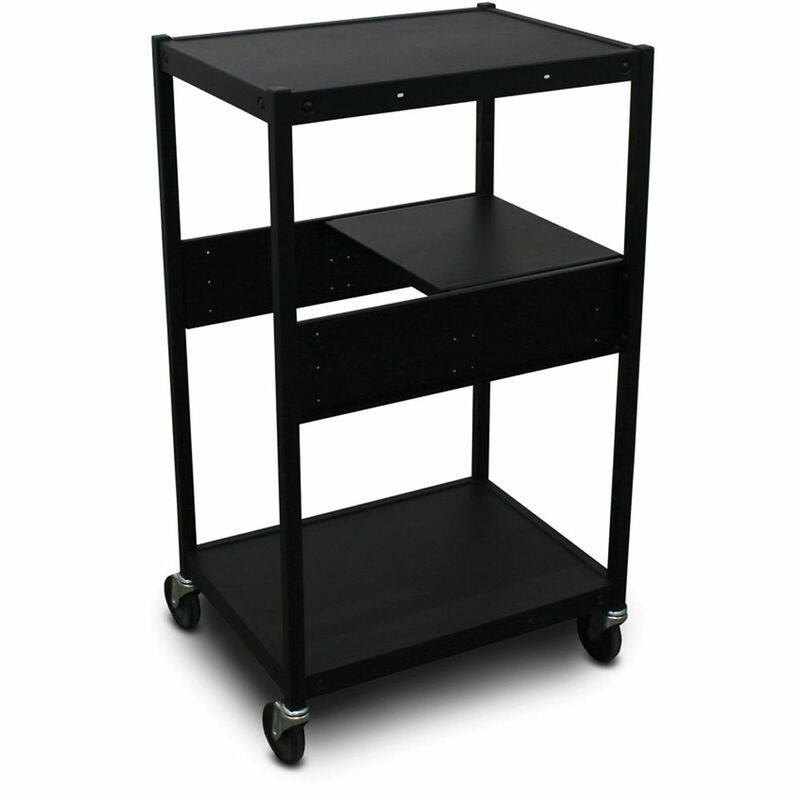 The cart can be rolled anywhere with ease thanks to the four 4" heavy-duty casters (two locking). Box Dimensions (LxWxH) 51.0 x 39.0 x 4.0"